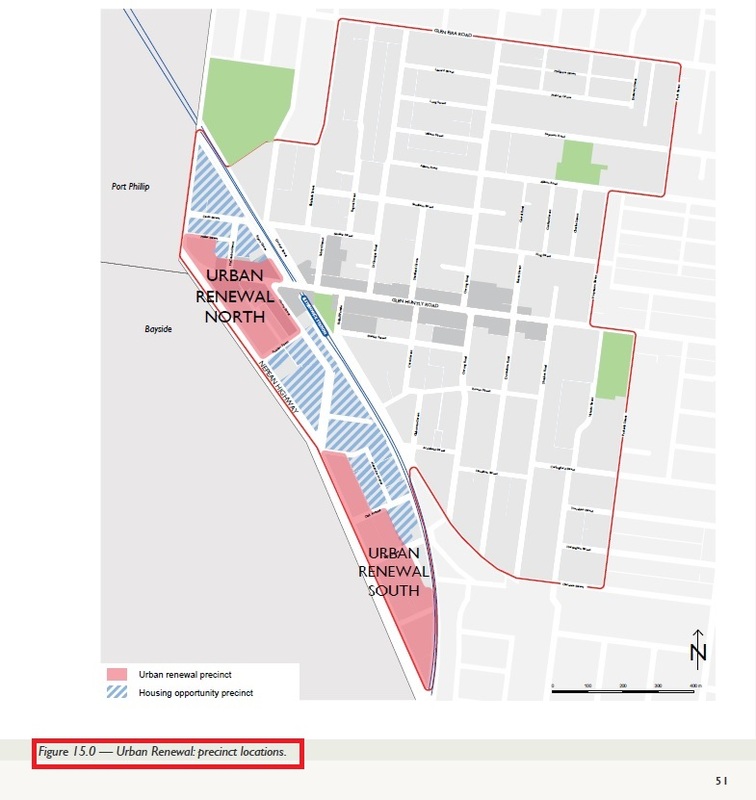 GERA has been contacted by a number of dissatisfied Elsternwick residents who, post Concept Plan Forum, have become aware of the proposed height changes for the Urban Renewal Area (12 stories) and Strategic Sites (8 stories). As residents of, or nearby, these areas they are concerned that Council did not formally notify them of the proposal and has not provided any strategic justification for these significant changes. Residents are expressing their dissatisfaction directly to Council and have asked us to help “spread the word” by publishing the following notice which they are distributing to impacted residents. I was shocked yesterday when I went to the Elsternwick Library and the booth to provide feedback stated “Help us plan for the future of the Elsternwick Shopping Strip”!! 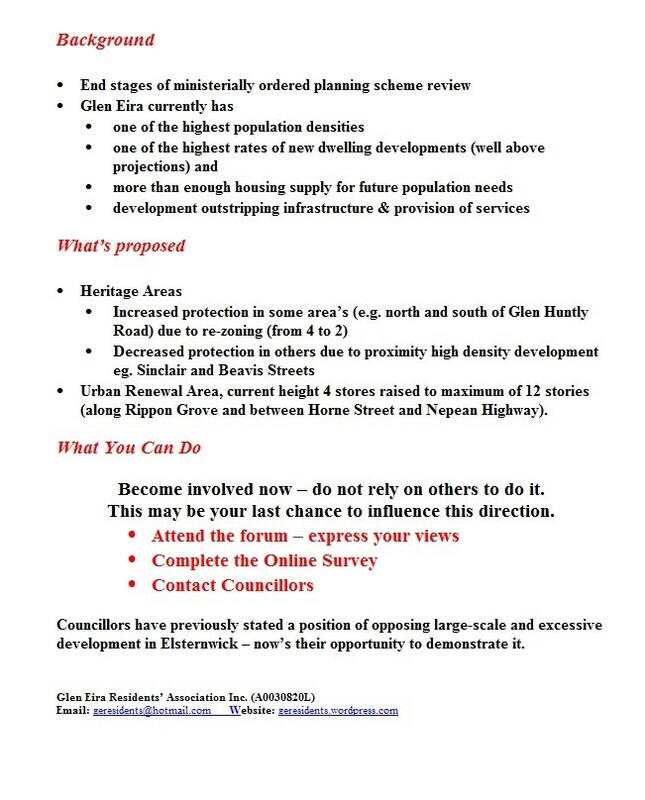 Last chance for Elsternwick residents to provide feedback on re-zone of residential streets to allow 12 storey high rise development. 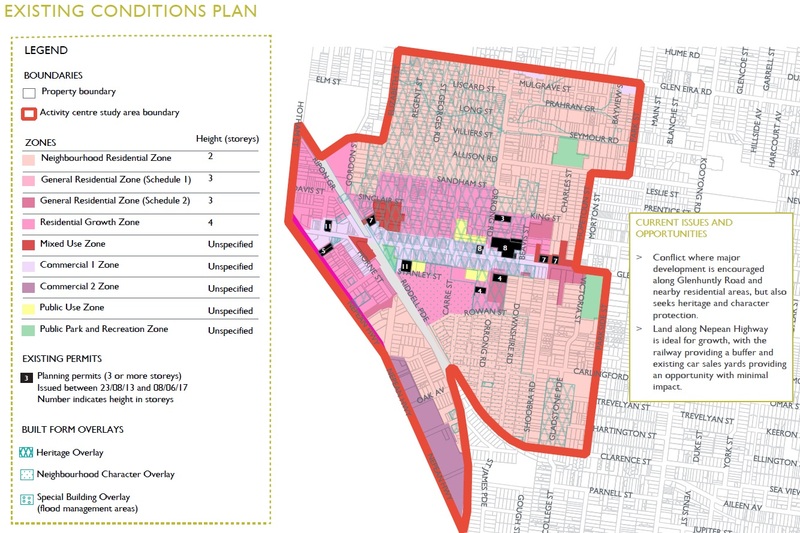 Many residents are unaware of the plan to rezone many Elsternwick residential streets for high rise development and which is estimated to increase Elsternwick’s population by 20%. 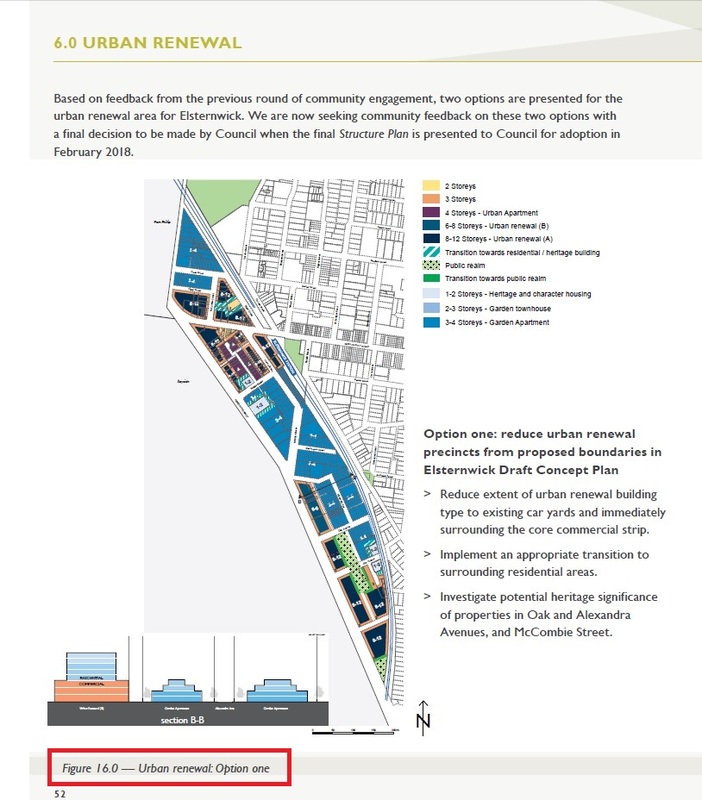 Residents who recently learned about this plan are furious the council have disguised the consultation process under a ‘Help us plan for the future of the Elsternwick Shopping Strip’ feedback survey and are already 5 stages through an 8 stage process without consultation with the directly impacted residents (or those in surrounding streets who will be flooded with an influx of traffic). Feedback on the proposal closes Sunday 3 September – don’t miss the chance to have your say! Many residents are also making formal complaints to the council and directly to the Mayor regarding the lack of transparency and consultation around these very significant changes. Council complaints can be made via the Glen Eira Council website. Please note that, as per our previous Elsternwick Forum posting, Council will accept late submissions. 100+ concerned residents attended the Elsternwick Concept Plan Forum (21/8/2017) – standing room was well utilised. Unlike the previous forums where Councillor attendance was sparse, the three Camden Ward Councillors (Crs. Delahunty, Silver and Sztrajt) took advantage of the opportunity to hear from the residents first hand. Also attending was Cr. Anthanasopoulous (Rosstown) who attended all three (Bentleigh, Carnegie & Elsternwick) forums. Whenever a series of Community Forums is held to a set format that does not respond to residents’ concerns as the series progresses, understandably resident frustration mounts as each Forum is held. Such was the case at this Forum, where once again the issues of scant information, inadequate justification for significant changes, lack of change analysis and any discussion of planning controls were raised. 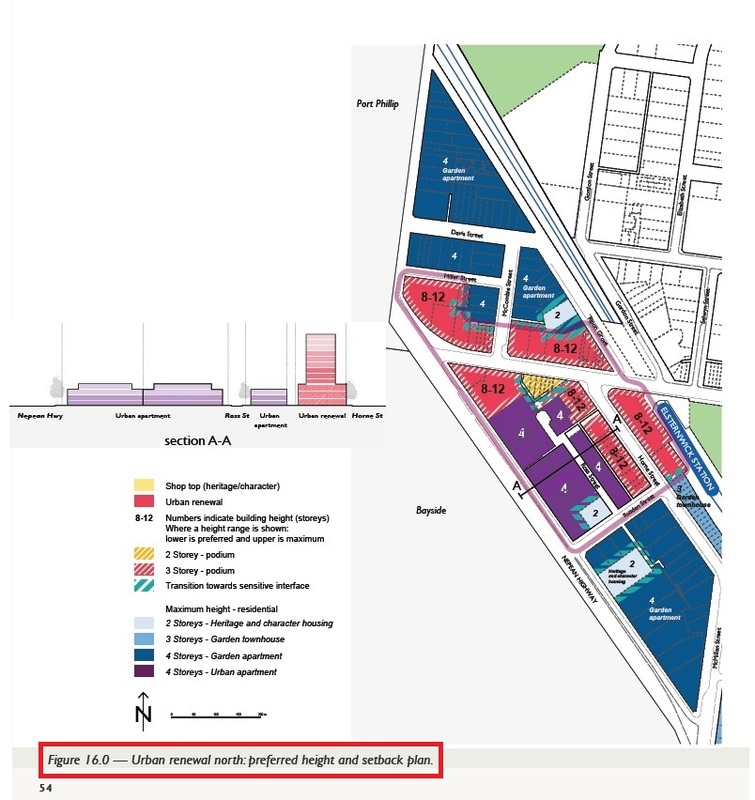 Of particular concern was the creation of a significant “Urban Renewal Area” with a maximum 12 storey height limit in a previously designated a 3 storey residential zone. Resident interjections during the formal presentation more than doubled the allotted presentation time – residents did not accept the justification of “we can’t locked down development therefore it has to go somewhere” nor did they accept the equivalent of “we don’t know” as a valid response to questions of heights, expected densities, government targets or planning controls to be applied. 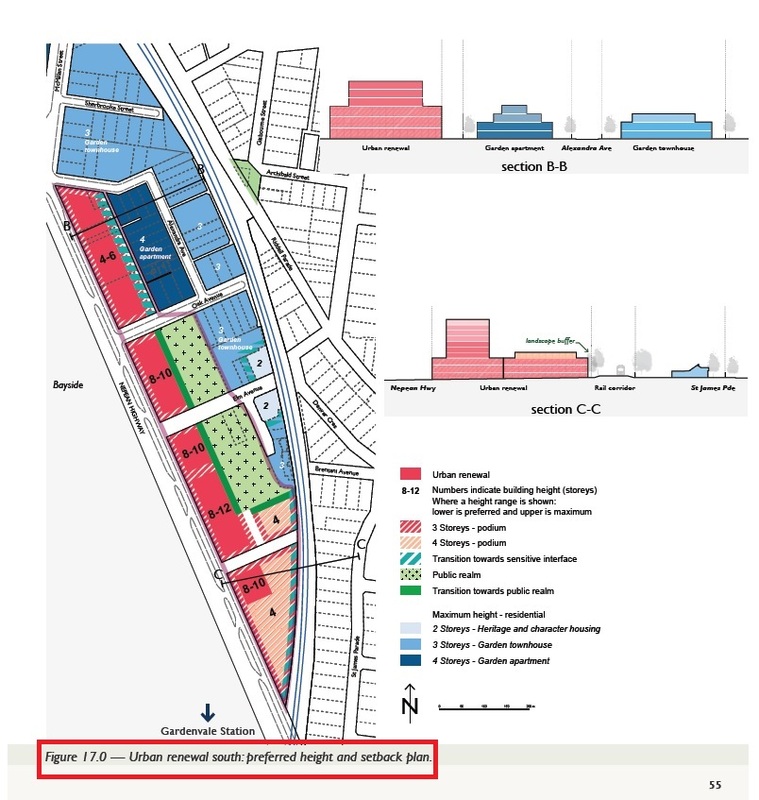 Almost 4 years after the zone implementation, Council has accepted what residents have been consistently arguing, the GRZ2 (three storey) zoning is not providing the desired diversity of housing. Council has no control over employment opportunities provided in developments. Council “acquisition or designation” of the Urban Renewal Area and Strategic Sites provides greater control over site redevelopment, eg. sale of “airspace” could ensure retention/expansion of public car parking (possibly underground) in exchange for incremented height limits. That the next and final forum (October-November) will provide details on re-zonings and planning controls. Significant information (volume and detail wise) will be presented which residents will need to carefully consider.  While the deadline for submissions re the Elsternwick Concept Plan is 3rd September late submissions will be received. General agreement that Concept Plan is an improvement on the inadequacies of the current planning scheme. 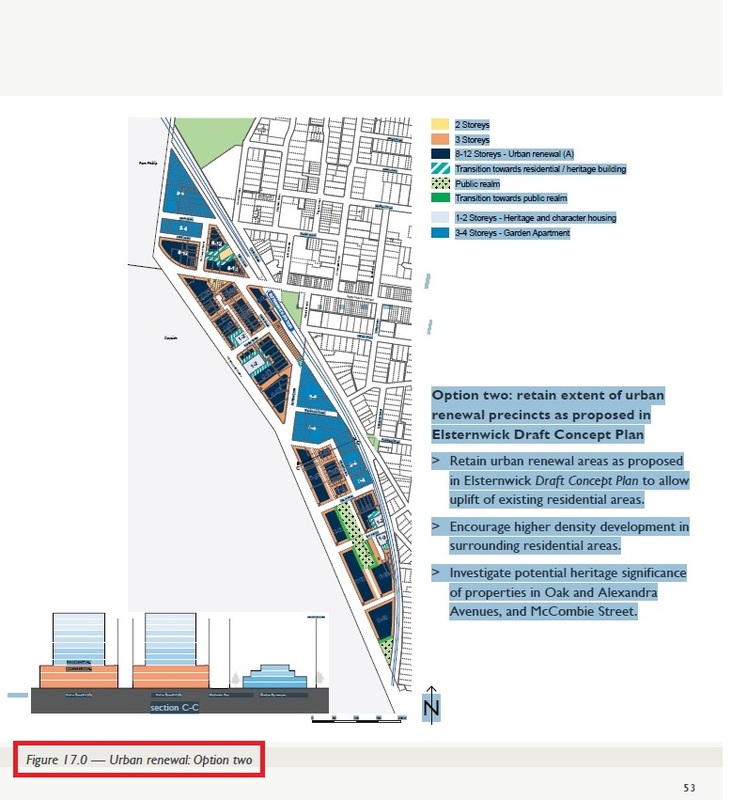 However, scant and questionable information and limited change analysis for the overall activity centre, and in particular for the Urban Renewal Area, restricts residents ability to comment. As one resident summed up the presented documentation – without appropriate information and analysis “it’s wishing rather than planning”. Not only is information scant as per above, but information presented contains inaccuracies and does not reflect the life span of redevelopments that have occurred prior to the 2013 zone implementation. What justifications support the designated Urban Renewal Area and Strategic Sites and their maximum height limits (with community benefit URA = 12 stories, SS = 8 stories, without community benefit URA= 8, SS = 6). Heritage and Neighbourhood Character – the proposed municipal wide review of heritage is long overdue (last undertaken in 1996) and needs to also include a review of Neighbourhood Character. Current Neighbourhood Character Areas are likely future heritage areas. Traffic and parking requirements are not discussed in the documents, yet these are current significant issues that will increase as development and planned pedestrianisation occurs. enforce parking and loading bay requirements for developments. Maximise on street parking via painted parking lines and introduction of short stay parking times (15mins) near “drop in” retailers, eg. bakery, florist, drycleaner. Council car parks and/or their airspace should not be sold to fund future car park purchases. No analysis of traffic flows provided in Concept Plans. Vehicular traffic should be directed to main roads and away from residential streets. To provide for trees and landscaping, Garden Apartments below ground basement car parking should not exceed the above ground building footprint. No mention of acquisition or location of new parkland. The Library should not be moved. Development outstripping infrastructure and services resulting in decreased amenity in centre’s core and surrounding residential areas. Having now attended all Concept Plan forums, GERA is becoming increasingly concerned about the limited data and detail provided so far. With only one more planned community consultation (October-November) we expect residents will either be swamped with information and limited time to assess or still lacking the data, justifications and analysis required to make an informed decision. 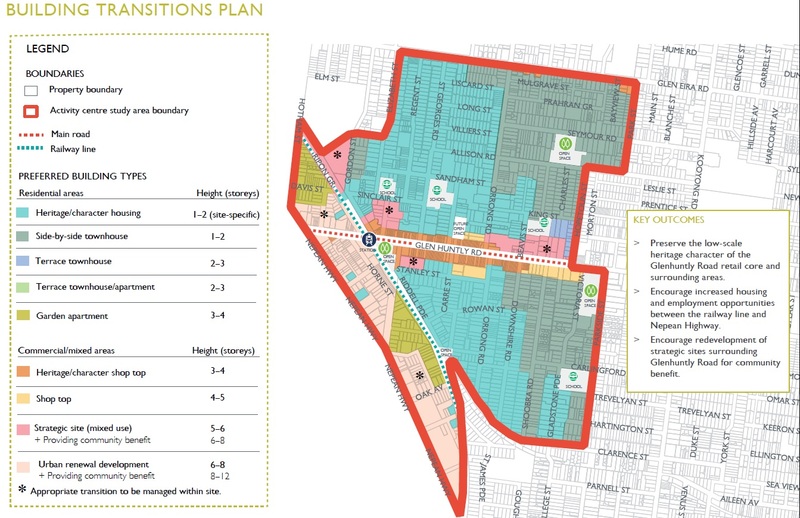 We urge residents to make a submission expressing their views re the Elsternwick Concept Plan. If required, take advantage of the acceptance of late submissions. 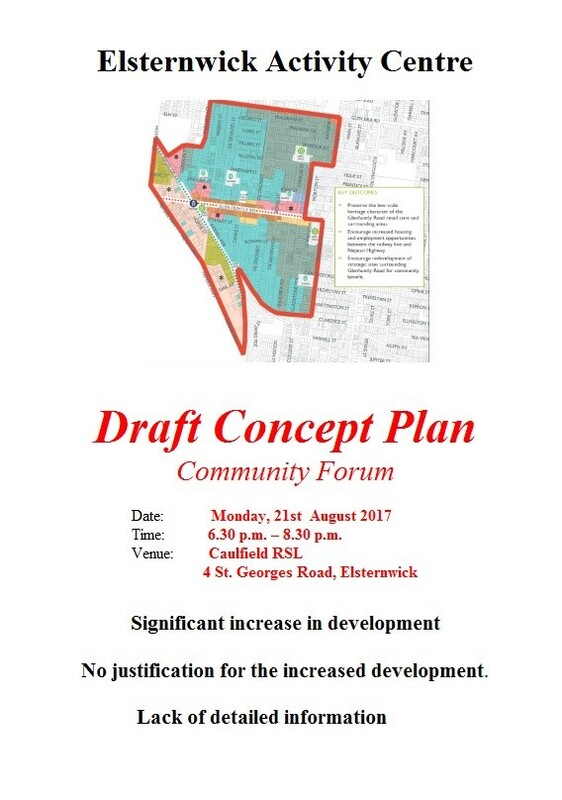 The following flyer has been prepared to urge residents to attend next Monday’s Elsternwick Concept Plan Community Forum. As per the flyer, the Concept Plan contains some significant changes that residents should be aware of and concerned about.